It's a rainy evening in Kuala Lumpur. I was driving in the bumper-to-bumper traffic, and that traffic condition gave me some opportunities to catch up with tweets instead. Scott Francis' update caught my attention, he posted an article inspired by Activiti's Tom Baeyens' blog post; basically, it's about BPM on the cloud. We have received numerous email requests from Joget Workflow users, asking about the availability of "switch-on-and-it-runs" hosted instances of Joget. And this request is getting more significantly relevant lately, when the v3 Beta is rolled out to the public in June. Why? 'Cos beginning from v3, Joget is no longer just another workflow management system, but it's now a full-fledged Web apps builder, enabling users to create workflow apps on the Web. So with such a niche (workflow apps builder) that Joget is focusing on, it's natural for the users to expect the availability of a convenient option to run Joget on the cloud. I was at a WordCamp few months back, sharing about Joget-WordPress integration, easily achievable with some plugins and the community has developed. The overall response from the WordCamp participants was great; I could see the sparkling attentions from PHP developers realizing how easy it is now, to assemble workflow apps from drag-and-drop UI, to integrate with WordPress site and its user directory. But but but ... I also witnessed the moment of epic twist, when a developer asked me about Joget Cloud, and my answer was “not at the moment ... yet”. Joget's niche is focused at simplicity. We started the project by creating a BPM tool that is easy for users to create, deploy and automate business processes. But, the type of niche we are focusing at also requires Joget to not just be a workflow system, but app builder (CRUD forms, tabular listing of records, reports, data import/export, etc). Lately, driven by demand, the product development team is also putting some efforts into the multi-tenancy support of Joget, so that multiple instances of Joget serving different clients can be hosted by a single instance of application server. 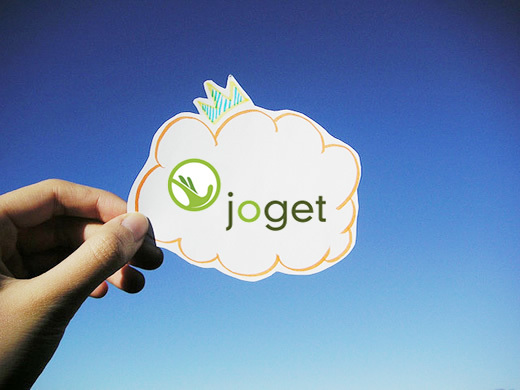 One suggestion to the step 2, it's not needed to download a joget app at first, the customer should be able to import the app into his instance of joget cloud directly.